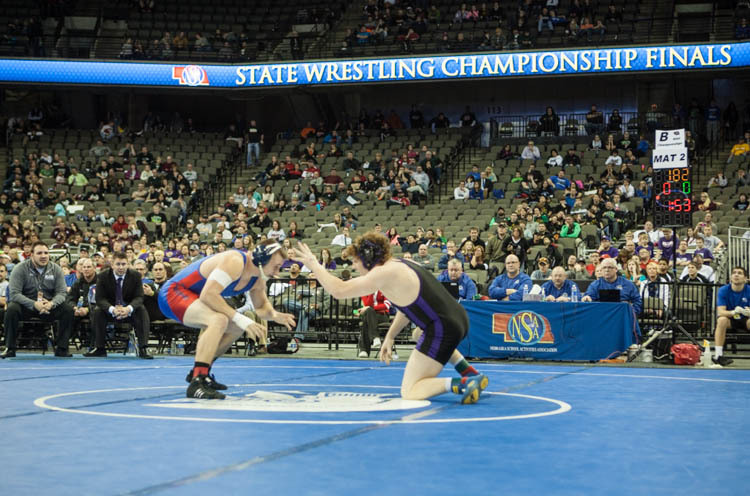 Blair wrestler Will Schany became one of only 24 Nebraska high school wrestlers to win four state wrestling titles. Schany is Blair all-time leader in career wins. Six Blair wrestlers qualified for state competition. Colt Wakefield placed fifth at 152 pounds. Will Schany meets Jack Barry of Adams Central in 182-pound Class B state title. Schany pins Jack Barry in title match. Blair coaches Eric Dolezal and Eric Warner. Fort Calhoun coaches Jim Meyer and Monte Christensen. Blair Will Schany and Adam Central Jack Barry. Schany pins Jack Barry in the 182 pound Class B state title match. 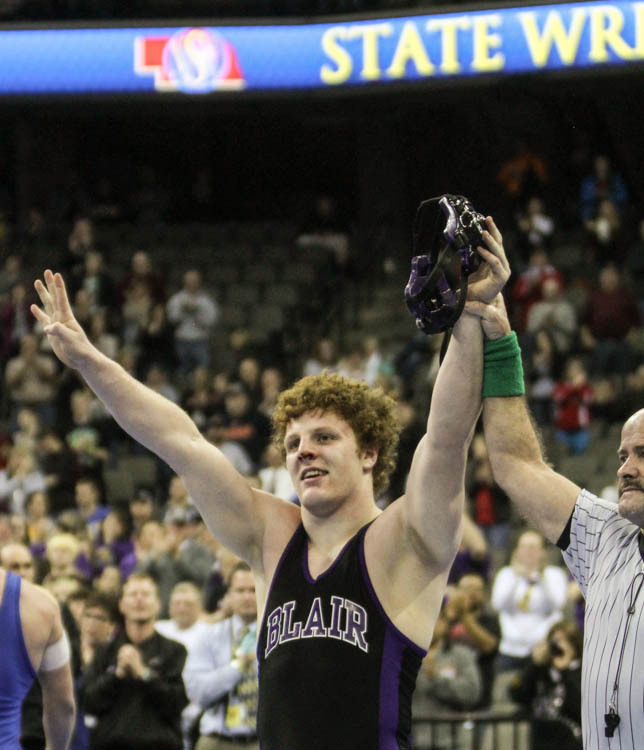 Schany pinned Barry and 2 other wrestlers on his way to his 4th State Wrestling title compiling the most wins in Blair Bears wrestling history. Will Schany meets Jack Barry of Adams Central in 182 pound Class B title match.